Across Africa, from Mauritius to Mauritania from Cape Town to Cairo; the skills, people and technology that is SPEC-CON. SPEC-CON (Pty) Limited, a concrete repair specialist company, was formed 20 years ago by a group of professionals working in the construction industry who identified the need for a committed specialist in the field of concrete repair and structural rehabilitation. The company, with its headquarters in Midrand, Johannesburg South Africa, has two regional offices in Newcastle, KwaZulu Natal and Vanderbiljpark. Spec-con recently opened a branch in Kolwezi, DRC, and hopes to extend its services into Sub-Saharan Africa with a particular view of increasing its footprint in the mining industry. Structures the world over, built in the previous five decades, are failing to meet service life expectations due to three factors: the environment, durability and the lack of quality control during the construction phase. Spec-con saw the need for a dedicated specialist in this field whose primary aim is to add value by extending the service life of strategic structures in the mining and industrial environment. The founders of Spec-con, having worked in similar environments in Northern Europe, were familiar with specialized products and techniques required to repair deteriorating concrete structures. Spec-con offers specialized services in the areas of Concrete Repair, Structural Grouting, Structural Investigation, Concrete Crack Injection, Gunite & Shotcreting Work, Core Drilling as well as preparing budgets and formulating structural maintenance strategies. 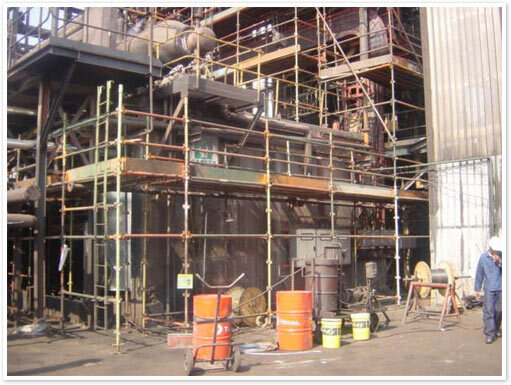 Spec-con is also currently involved in a Project and Technical Management capacity looking after the civils and structural steel reparation component of the ZAR 2 Billion Reline of Arcelor Mittal’s N5 Blast Furnace in Newcastle, KZN. The four year project involved structural design, tender administration, measurement and supervision of the implementation phases. SPEC-CON’s diagnostic survey division assists in ascertaining the health of a structure before any structural repair strategy is decided upon. The survey establishes the cause and severity of the deterioration, by encompassing detailed inspections and the use of ultra sound and GRP technology. These techniques assess the severity and quantify the extent of the defects in order to accurately estimate the potential costs. The information gleaned from the diagnostic survey allows the client to make informed decisions. Some of the techniques that Spec-con applies to different projects includes patch repair that entails partial depth repair and full depth repair. Shutter and cast methods - where formwork is erected prior to casting of specialized grouts and repair products. Shotcrete is an excellent tool for stabilization and support of structures in a very short time and for concrete applications without using any moulds. 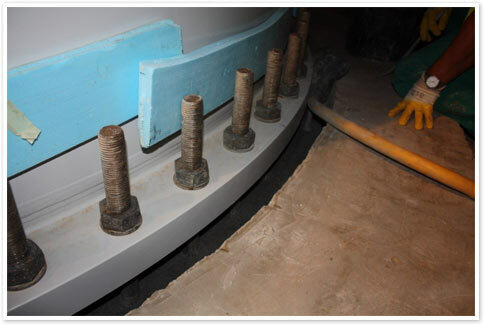 Over the past years, sprayed concrete has replaced the traditional methods of lining tunnel profiles and has become very important in stabilizing the excavated tunnel section. 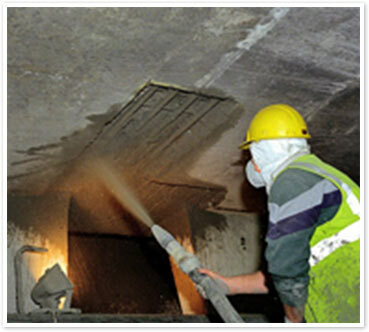 Shotcrete is more dense, homogeneous, strong and waterproof than many other repair processes. After deciding on the repair technique to be used, the implementation phase follows. A systematic approach to concrete repair includes identifying, testing, preparing, repairing, protecting, as well as cataloging and keeping accurate records as the work proceeds. As part of the quality control procedures - a checklist is drawn up where each phase of the repair is completed and checked before proceeding. Instead of building new and expensive infrastructure, repairing existing infrastructure is the answer. As attention returns to repairing and upgrading of our infrastructure, there is a need for professionally applied, cost-effective solutions that will meet rigorous specification criteria for quality and durability. Spec-con operates through-out the African continent and it is actively involved with projects in Botswana, DRC, Mozambique, and Namibia. 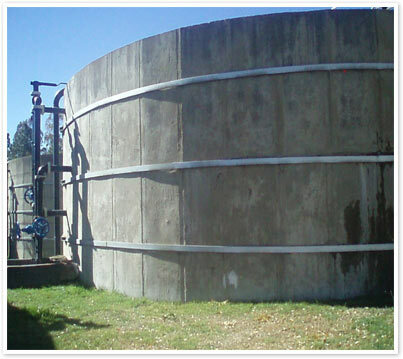 The company has worked in Southern Russia, East and West Africa and the Indian Ocean islands. 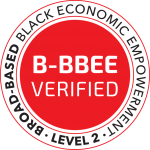 Its client base includes companies such as, Arcelor Mittal, Anglogold Ashanti, Kinross Mining, Barrick Mining, Iam Gold, FL Smidt, Sappi, Sasol and Fipag. The company, employing 40 professionals, composed of 10 qualified engineers and project managers, 10 technicians and 20 artisan repair specialist- sees skills transfer as a very useful tool in marketing its services. Spec-con provides on-site and class-room training- this includes proper use of the equipment, understanding of the material chemistry, safety and environmental considerations as well as record keeping and quality control. Spec-con prides its self on being able to respond quickly to the client’s needs anywhere on the African continent. From Mauritius to Mauritania, from Cape Town to Cairo the skills, people and technology that is Spec-con.